The Head Prime double yellow dot squash ball is ideal for advanced players. It has a very low bounce and a very slow speed, which is perfect to boost your game. If you are an intensive or a professional player, you will appreciate the properties of the Head Prime double yellow dot squash ball. Its very slow bunce and its very slow speed are totally adapted to advanced players, tournaments and competitive games. The Head Prime double yellow dot squash ball is available in pack of 3 balls for even more fun. This top brand squash ball is adapted for players who already have a very good play level. 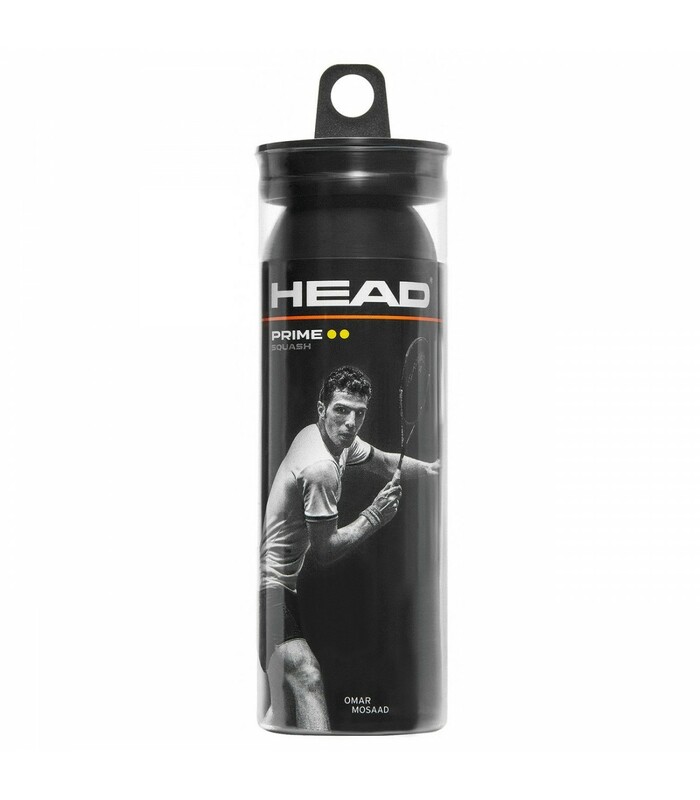 The Head Prime double yellow dot squash ball offers you unique game feelings. This high quality ball is a very slow ball with a very low bounce. This ball is part of the highest category, the one adapted to players with an excellent level. Playing with the Head Prime double yellow dot squash ball enables you to enjoy fully your squash games.